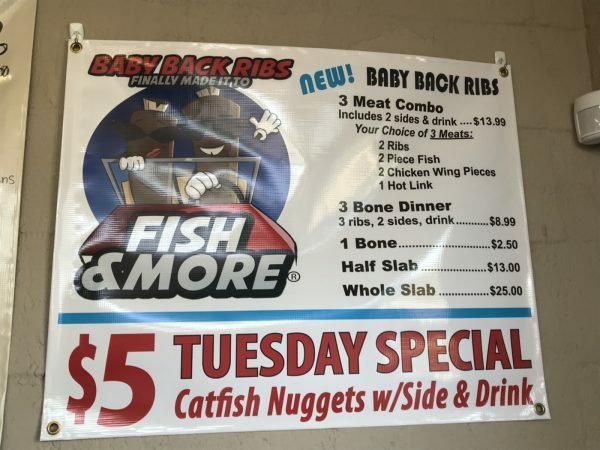 Fish & More: Little hole in the wall serving delicious catfish – Wichita By E.B. Who doesn’t love a good hole in the wall? 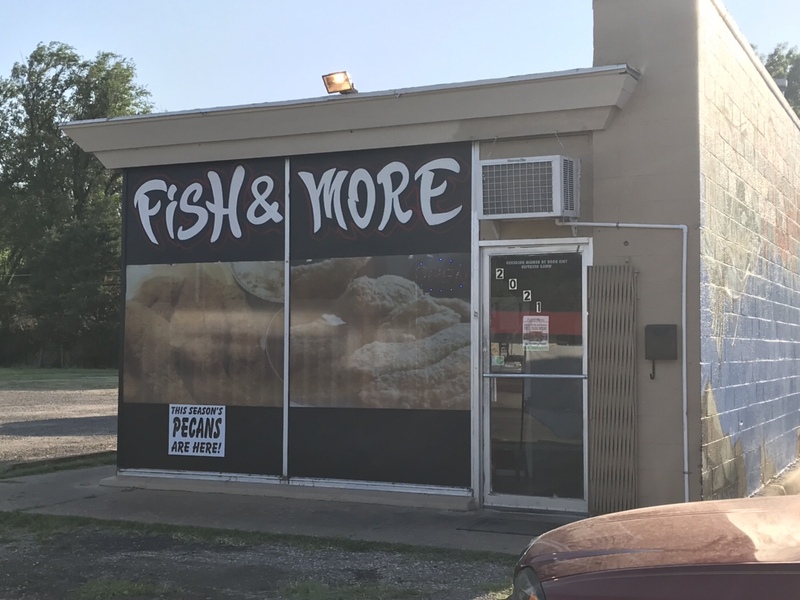 While randomly driving around Wichita looking for restaurants I’ve never heard of, I came across Fish & More. 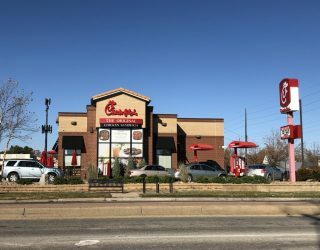 It’s located on Oliver & Mt. Vernon in the former Maddie’s Soul Food Carryout location. There was a sign outside advertising catfish so I quickly slammed on my brakes and pulled into the parking lot. 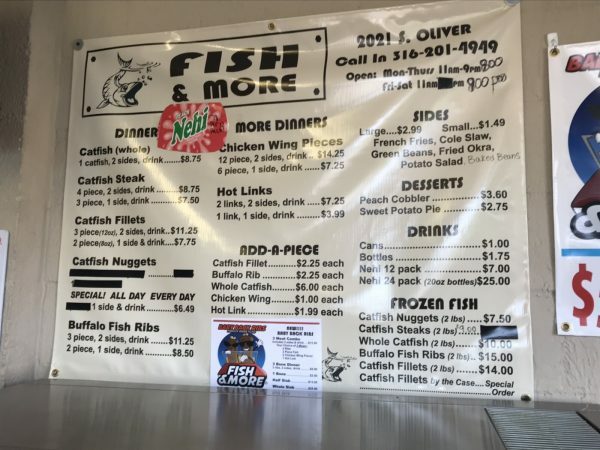 The menu at Fish & More consists of whole catfish dinners, catfish nuggets, buffalo fish ribs, chicken wings, hot links, baby back ribs, and even smoked turkey legs that are available on Friday and Saturday. 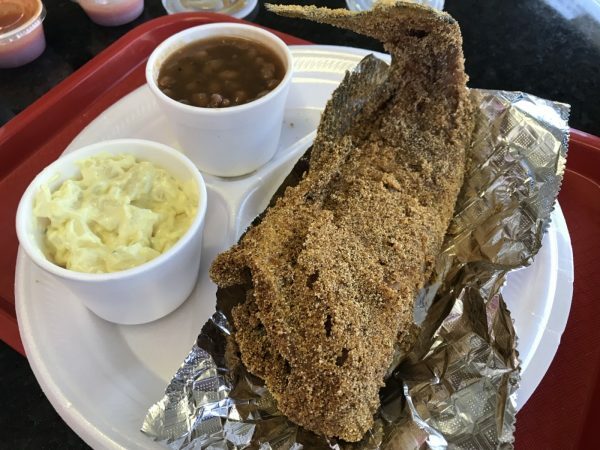 While there were so many items on the menu that sounded delicious, I went with the whole catfish dinner and a side of beans and potato salad. 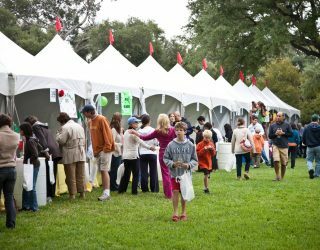 I’m definitely going to have to go back and try the baby back ribs and the smoked turkey leg. My whole catfish took about 15 minutes to cook. I noticed there were some call ahead orders so that’s an option too if you don’t want to wait. My catfish came with little sides of hot sauce and tartar sauce that I ended up not even using because the meal was wonderful. The breading was light and pulled apart easily revealing perfectly fried catfish. It was well seasoned and so full of flavor. There was also plenty of meat and I made sure to get every ounce of it off the bone. Even though I was full after the meal, I could have easily ordered a second whole catfish, stuffed myself and not been mad about it. I will surely be a repeat customer at Fish & More and going back soon to try other items. They also have many different desserts on hand I was told I should order but passed at that time. The staff running the place was extremely friendly considering I had ton of questions about their menu. They were also on top of things keeping me informed on how long my catfish would take. I give these guys a major thumbs up and highly recommend you giving them a try. Come to think of it…… I may even go again tonight! Don’t forget to like them on Facebook to see their specials and more.